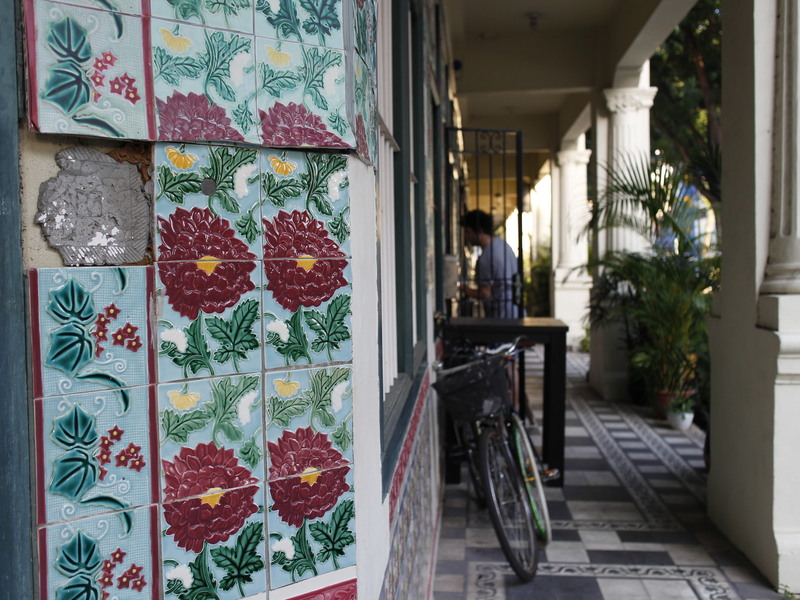 From the 18 beautifully preserved Chinese-Baroque styled shophouses, to the open alley where men can seek a quick fix, Petain Road further adds to its already intriguing character with its link to Hitler and World War II. 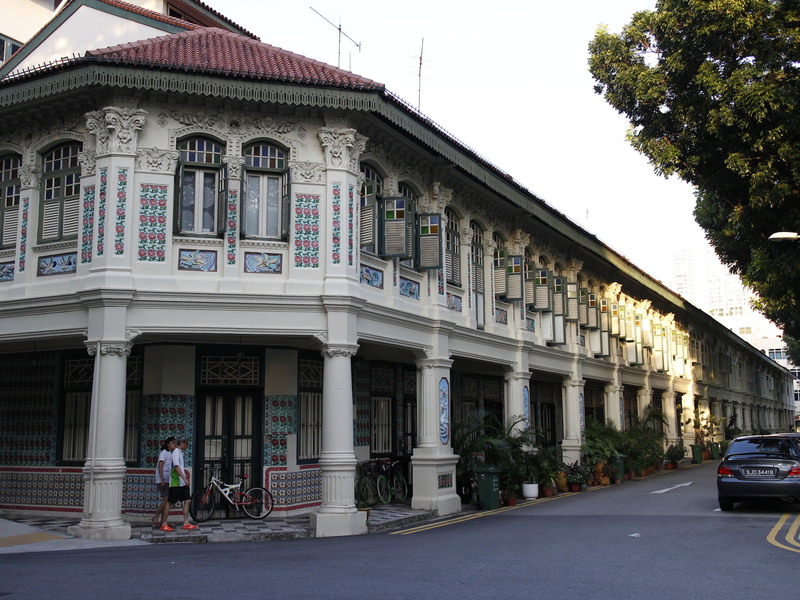 First, the beauty of Petain Road is evident in the 18 shophouses built in the Chinese-Baroque style back in 1930. Named in 1928 after Field Marshall Henri Philippe Petain, one of France’s greatest military heroes from the First World War, the naming of the road by the municipal Government in Singapore at the time was completely understandable. Yet come 1940, when Petain was serving as the Prime Minister of France, the nation’s military force had degraded massively. 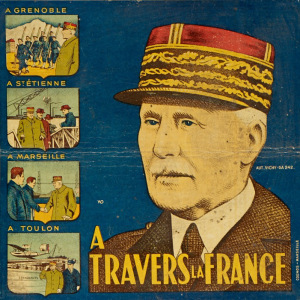 On June 20, an armistice was signed with Hitler and the Germany army, giving Petain near-absolute powers that saw him collaborate with Hitler to suppress the French resistance, plunging France and its people into years of tumultuous rule under Hitler and the Third Reich. The disdain for Petain has led to numerous calls over the years by the French Community to rename the street, the most recent of which however was written by Professor Tommy Koh (20 March 2012, The Straits Times), who proposed that the road be called ‘de Gaulle road’ instead, after Petain’s former lieutenant Charles de Gaulle who was the French president from 1959-1969. 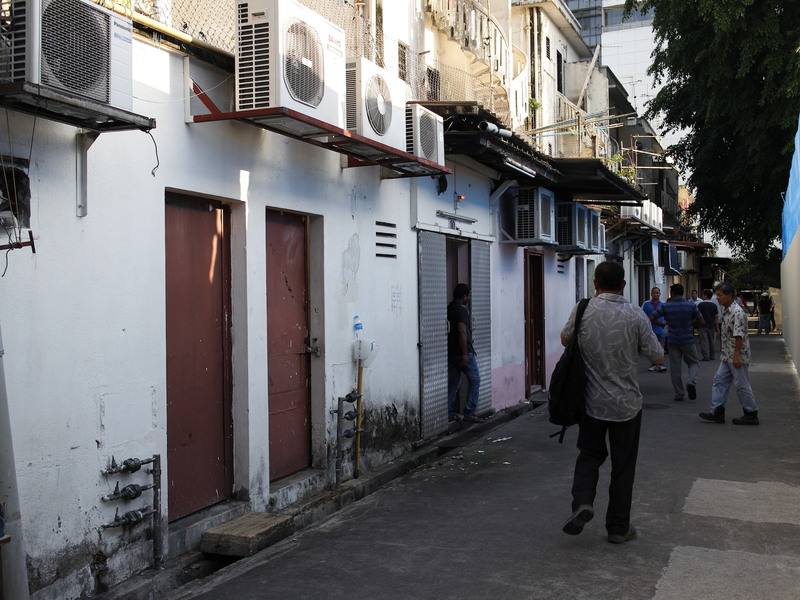 While no official move has been taken to rename the street, a quick turn to the alley parallel to Flander’s Square reveals another unique side to Singapore’s underworld of the red light district. Located here are a series of open brothels, patronised by a constant stream of men who casually walk from each door to another in the hopes of finding someone suitable for their purpose. Aside from a few ‘lookouts’, there seems to be few pimps or ‘mummies’ touting their services. 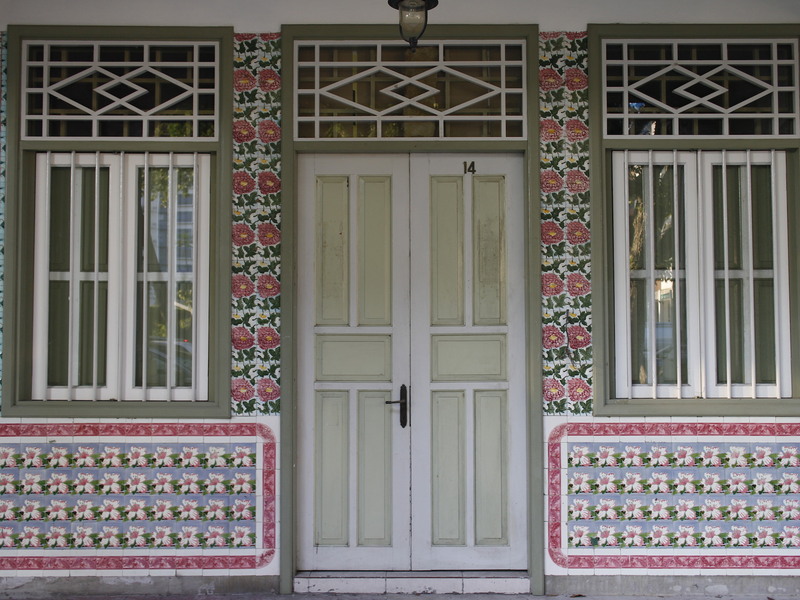 Yet for all the controversy and vice that seems to plague Petain Road, a short walk down also brings you to one of Singapore’s longest and also beautifully preserved row of Chinese-Baroque styled shophouses. 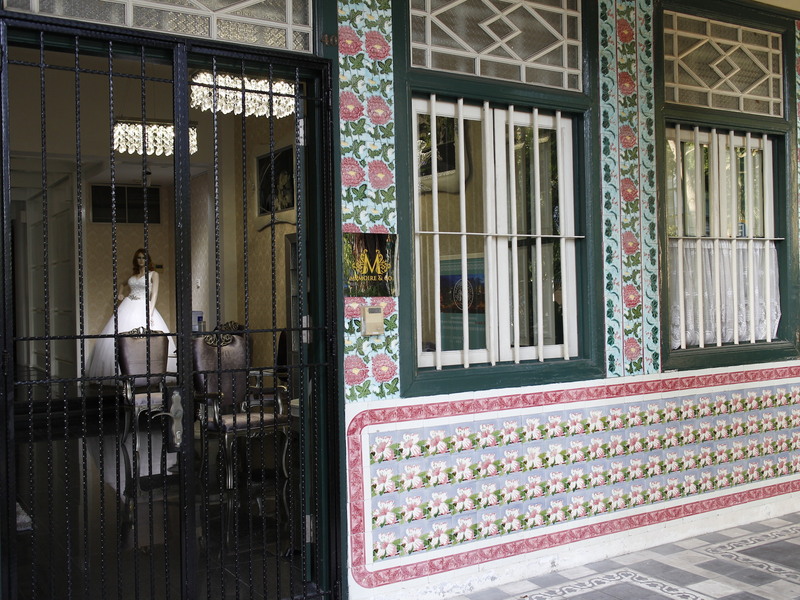 Built in 1930 by E.V Miller on the commission by Mohamed Bin Haji Omar, the now largely residential shophouses are peppered with inspirations from all forms of shophouse architecture. The second storey of the shophouses reveals multiple architectural influences from around the world. First are the chinese stucco panels featuring a phoenix below the windows, followed the distinctly Malay influenced eaves just below the roof, and finally the Baroque like floral cornices and friezes . 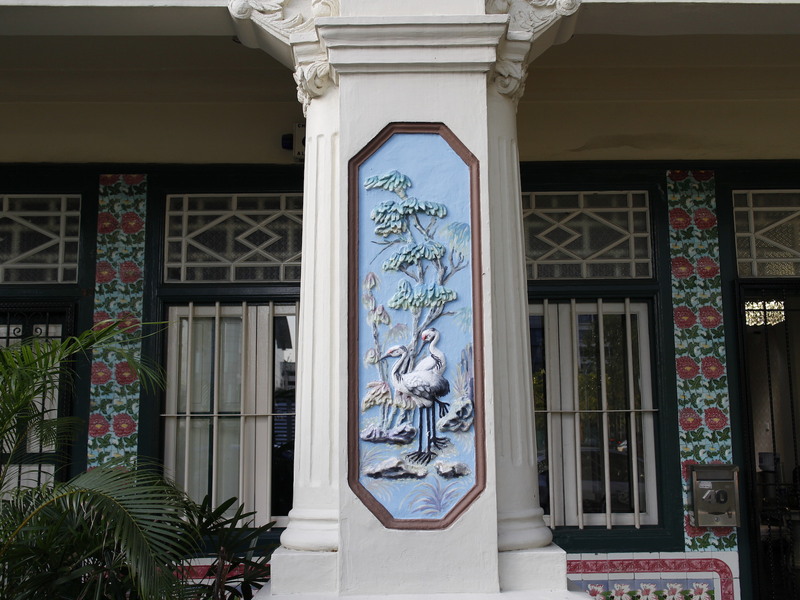 Spanish floral ceramic tiles can be impressively seen covering the walls, while Chinese symbols like the Crane and Phoenix can be found in the stucco plasterwork on the outfacing columns as well as the panels just below each shophouse window. 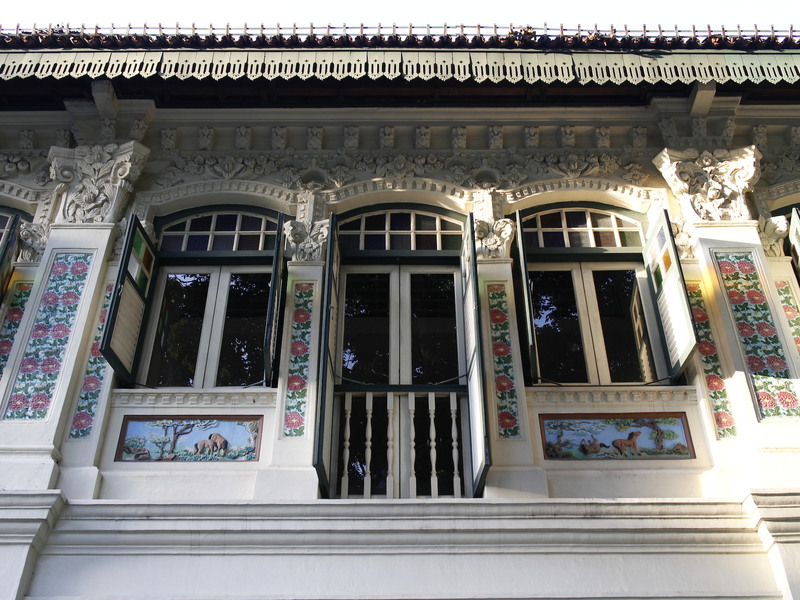 The Chinese-Baroque style is also visible in the distinctly detailed floral cornices and friezes surrounding the top half of the shophouse. Other architectural influences can also be seen in the traditional Malay fretted eaves boards along the roof, while the classical styled columns borrows traits from a distinct colonial culture. This is one of the more interesting neighbourhoods for sure… what is in the master plan for it though? This street was supposed to be renamed into Flander Road in 2016 ! ! ! Does anybody have some info about this project ?